I don’t use the desktop version of eDrawings all that much. To be honest I can’t recall the last time I would have used it at work. 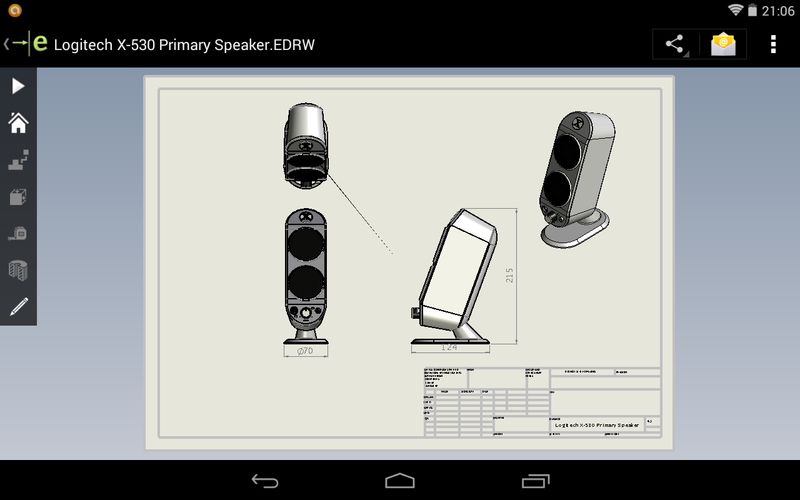 Our main use of eDrawings is on mobile. I have both iOS (iPhone) and Android (Nexus 7) versions. 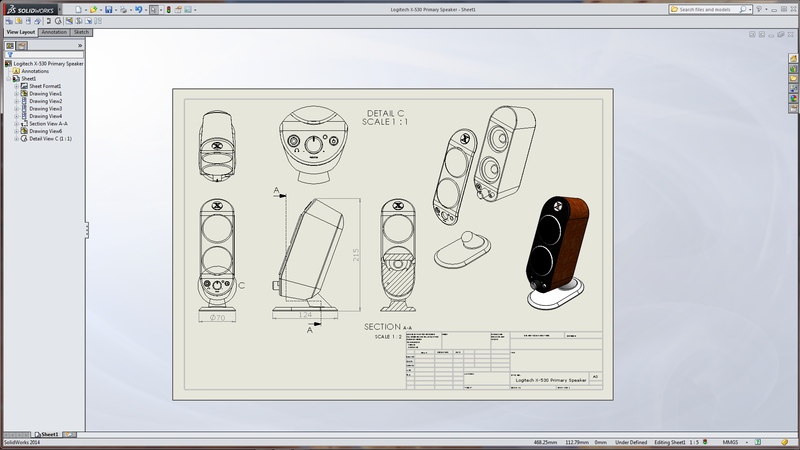 My most common use is when I need a reference to review something in the workshop! Normally it’s a cabinet when I need to see why we haven’t put something together correctly! Even rarer would be for me to use (or Save a drawing as) EDRW drawings! 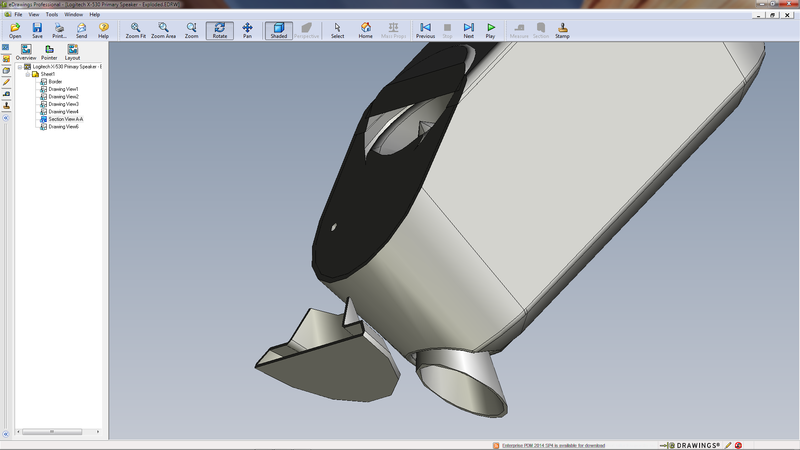 So I shouldn’t have been too supprised, when I didn’t know, after I read that you could rotate a model from a eDrawings EDRW! Who would have thought that! 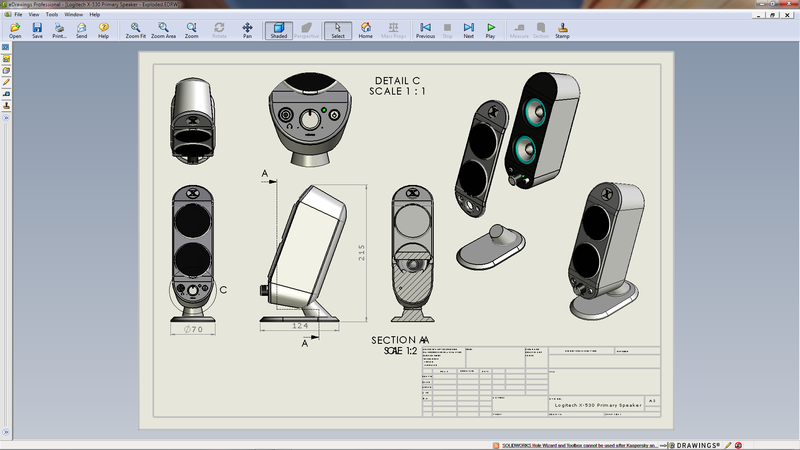 The question was posted on the SolidWorks Forum. 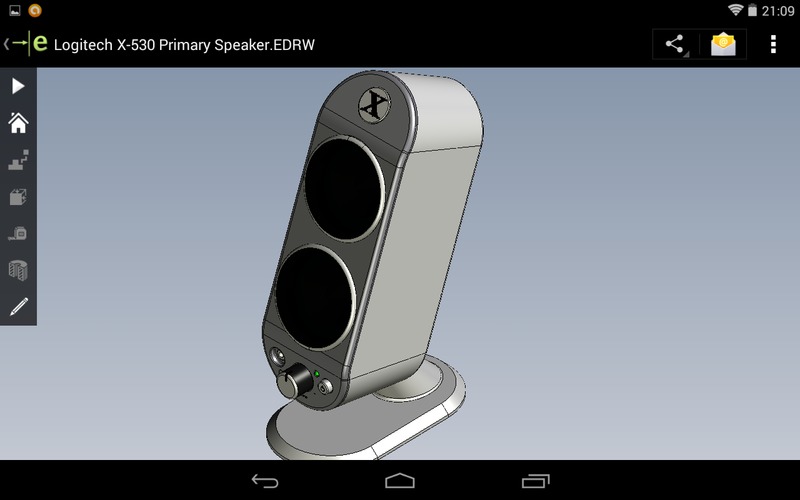 It was in regards to rotating a view (model) in a eDrawings Mobile version! 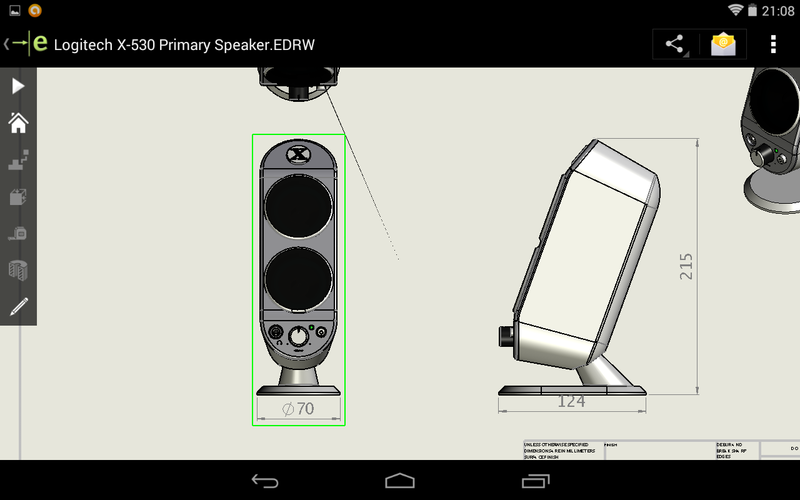 The first thing I had to do was see how (and what it did) to rotate a view in eDrawings. 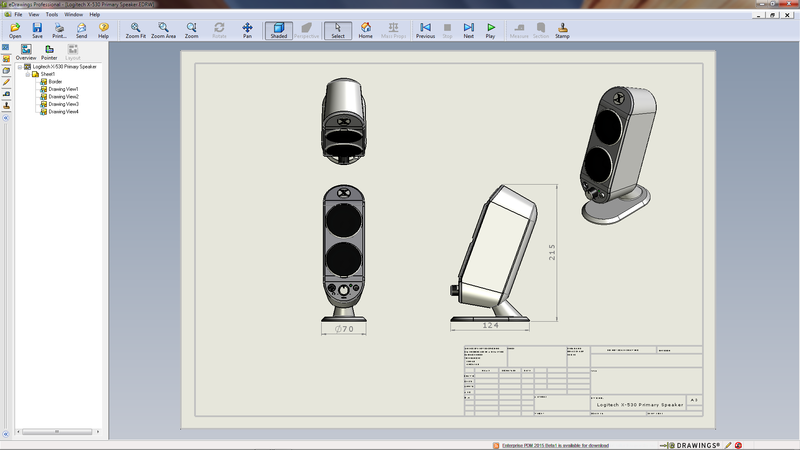 That meant first creating a SolidWorks Drawing. 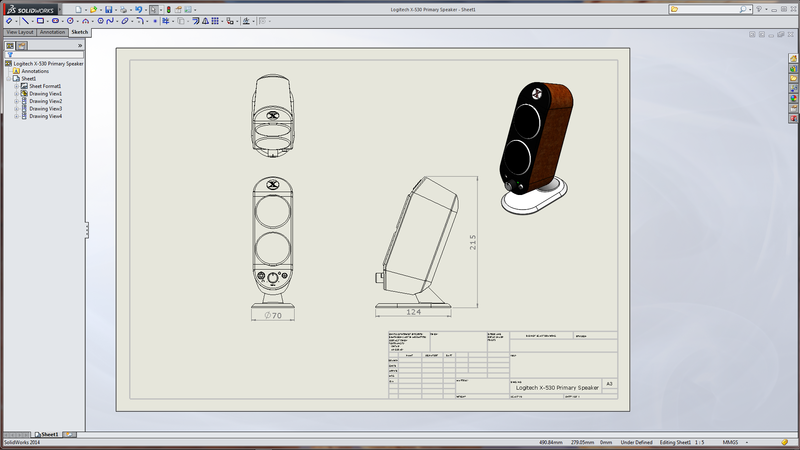 (I had the Logitech Speaker which I downloaded from Charles Culp – SWtuts (SolidWorks Tutorials) the other day in readiness for some computer Benchmarking – buts that’s another story) By the the logo it looks as if it’s a Rob Rodriguez – Axis Cad Solutions model! 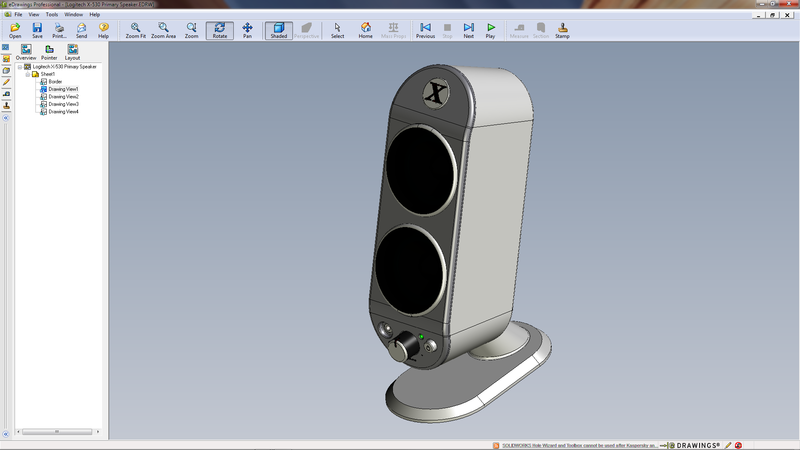 the model opens and can be rotated. (Select the model, Left Mouse Button, Hold and rotate) To return to a drawing view select Home. There’s something I didn’t know! Select a drawing view but there is no rotate icon …………… take a guess and try the Play icon! Might just have to start using EDRW! A drawing and model all in one. UPDATE: After I posted this last night I received some feed back and advice on rotating other views. 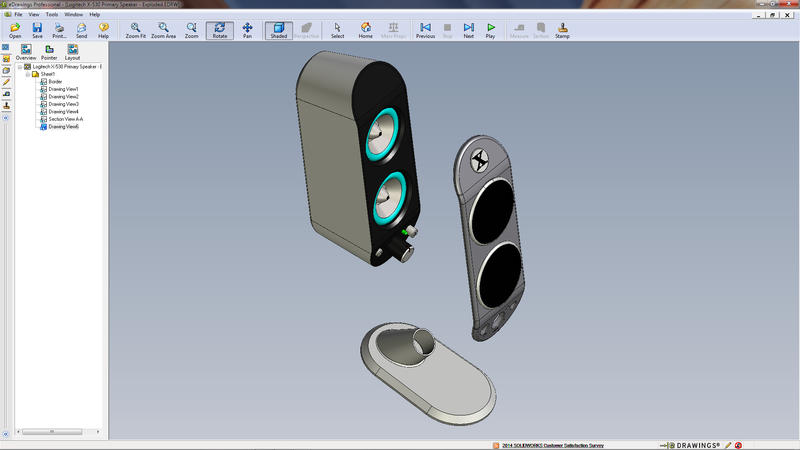 Which is exactly the same for Exploded Views. The more I look at eDrawing EDRW and its abilities when using the Rotate feature, the more I see the benefits of using over EPRT and EASM!